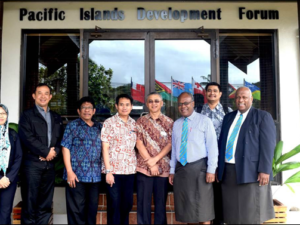 The Pacific Islands Development Forum (PIDF) Secretariat and the International Committee of the Red Cross (ICRC) will continue to explore areas of mutual collaboration especially in the areas of climate induced migration and disaster displacement and for preparations for the upcoming World Humanitarian Summit in Istanbul Turkey 23-24 May 2016. This came out strongly after a high level delegation led by Mr. Fred Grimm, Head of Regional Delegation in the Pacific, with Ms. Sabine Fetta, Regional Advisor for Multilateral Affairs, ICRC, Jakarta and Ms. Gillian Hickes, Communications Officer, met with PIDF Deputy Secretary General, Mr. Penijamini Lomaloma on Tuesday, 5th April, 2016 at the PIDF secretariat in Nasese. 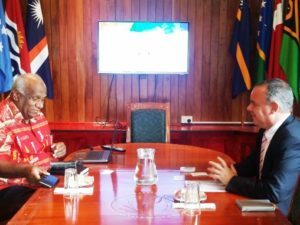 “This was an inaugural meeting between PIDF and ICRC but they are not strangers to us as ICRC has attended previous PIDF Leaders Summits including the 3rd Leaders’ Summit held last year,” said PIDF Deputy Secretary, Mr. Lomaloma. 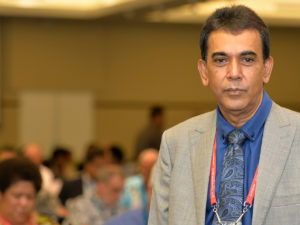 “I thanked ICRC for its work in the Pacific especially following the recent Cyclone Winston in Fiji and Pam in Vanuatu and also took the opportunity to explain the work of the PIDF in the Pacific and highlighted possible areas of future collaboration,” further added Mr Lomaloma. The visiting ICRC delegation briefed the PIDF Deputy Secretary General, as the PIDF Secretary General Mr. François Martel is currently engaged in an overseas mission, on their work in the region in the area of armed conflict and violence especially as a consequence of climate change. 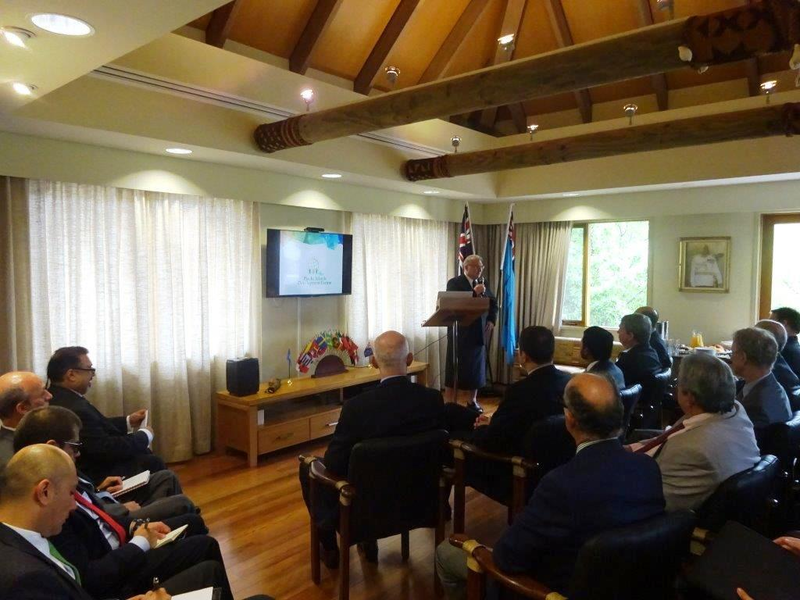 They highlighted their work in the PNG Highlands, in Timor Leste and with the Discipline Services in the area of humanitarian law. Part of discussions between PIDF and ICRC executives touched on a wide range of issues such as the exchange of best practices, emergency preparedness including rapid responses, cooperation in health and issues of health in detention. The visiting delegation also expressed their desire to strengthen regional linkages such as with ASEAN, MSG, disaster management including family links, management of the dead, capacity building, mitigation, addressing vulnerabilities and issues of livelihood and resilience.